This is Part 4 of our New York Food Adventures! Check out the rest here! 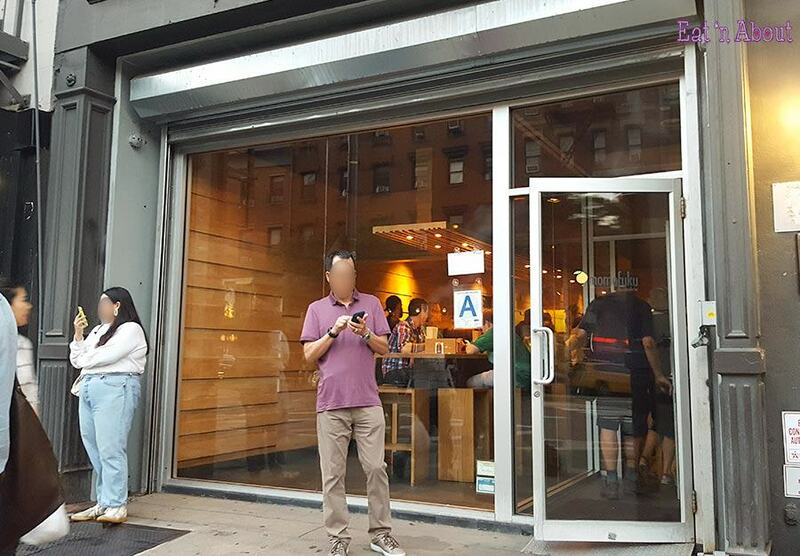 I’m really not sure how Momofuku Noodle Bar became a must-try in my books for our New York trip. Maybe it’s that Netflix show AngryRussian keeps making me watch, maybe it’s watching Christina Tosi on Masterchef? Anyways it went on my list. I’ll start by saying that you really do pay celebrity chef prices here. It’s kinda like fine-dining prices at a diner. As you can see they don’t have an awning or a big sign. Just whatever’s on the door. We arrived around 5:30pm and there was no lineup. The interior had a nice warm birchy interior. There was one long communal bench and they had us seated across from each other. There were also individual tables. For drinks I got a small 4 oz Spicy Lychee Soju Slushie ($6 USD). It came out of a slushie machine. It had good lychee flavor but wasn’t really spicy. 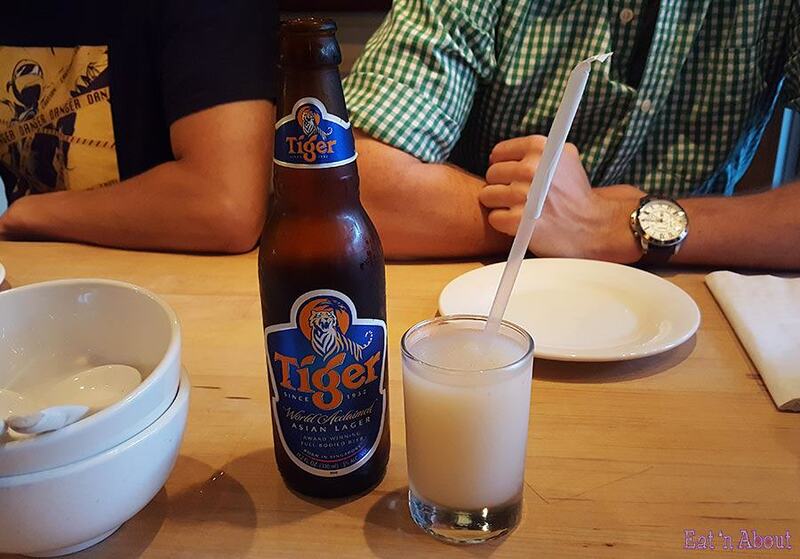 AngryRussian got himself a Tiger Lager ($6 USD). I had always wanted to try a crudo (essentially raw fish, it’s Italian sashimi?) 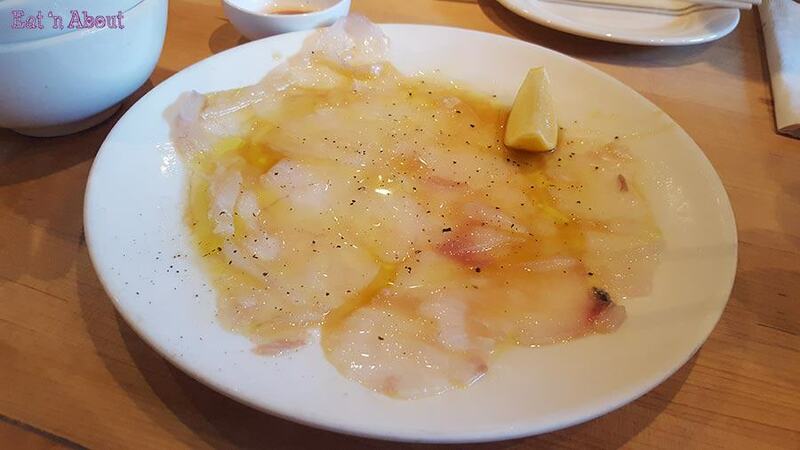 so I ordered their Fluke Crudo ($16 USD). That’s what this ugly mess is. I was quite surprised and appalled at the “presentation”. The fluke was seasoned with Bonji (Momofuku’s own creation described as a fermented, cold-pressed liquid seasoning made in the style of tamari and soy sauce, but instead of soybeans it’s with fermented hearty grains), and Hozon (another Momofuku creation described as a fermented, stone-ground seasoning made in the style of miso paste, but made with made from fermented nuts, grains, or seeds), and garnished with lemon. Honestly it just tasted like light soy and ponzu. The fluke was soft and easy to eat. But, honestly…the presentation? For this price? 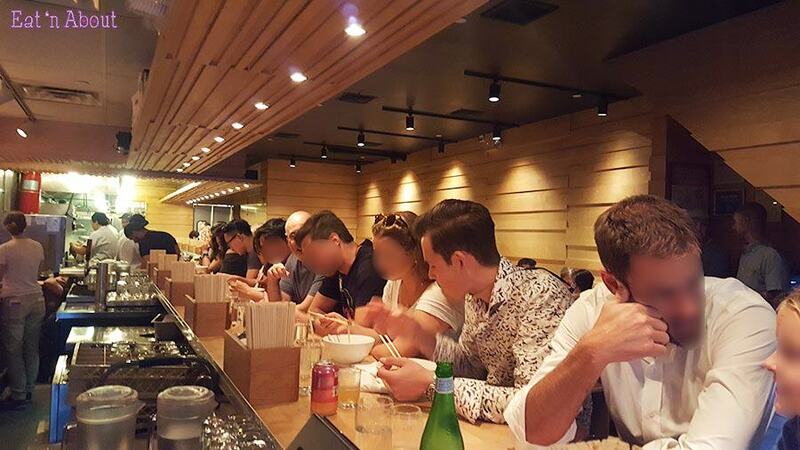 Lastly we couldn’t come to Momofuku and not try the Pork Ramen ($18 freaking USD) although many people would argue it’s the pork buns we should try. It supposedly has both pork belly and pork shoulder (we only got one piece of meat so I guess it was a combo piece? ), and a poached egg. The good – the soup was very flavourful and different from anything else we’ve tried. It’s smokey and was almost like liquid bacon. The egg was like a sous vide soft poached egg that was very funny. Noodles were cooked right. The bad – I don’t think it’s worth the $18USD it’s asking for. It’s a very small portion, and there really isn’t much in there in terms of ingredients as I can see, unless there’s something fantastic used in the making of the broth. The meat was very fatty and didn’t have much meat. 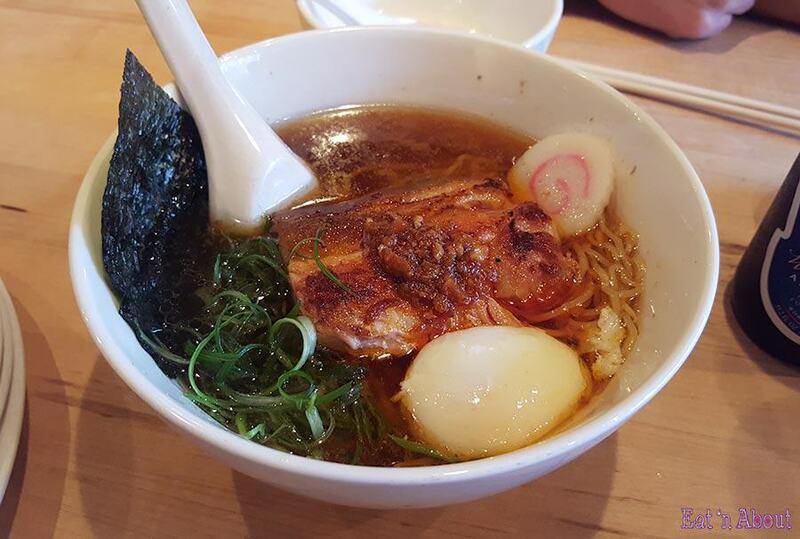 Anyways as I said, Momofuku was one of those places we HAD to visit and after this visit we don’t need to come back again. The prices just didn’t justify what we’re getting.